This fun card has been on my desk all week and I haven't had a chance to blog it until now. I will admit that when I first saw the sketch this week, I was a little intimidated. It is not a configuration that I would normally use, but I actually had fun with it! The paint swatches are from the Abstract Art stamp set, this is one of those sets that I use all the time! 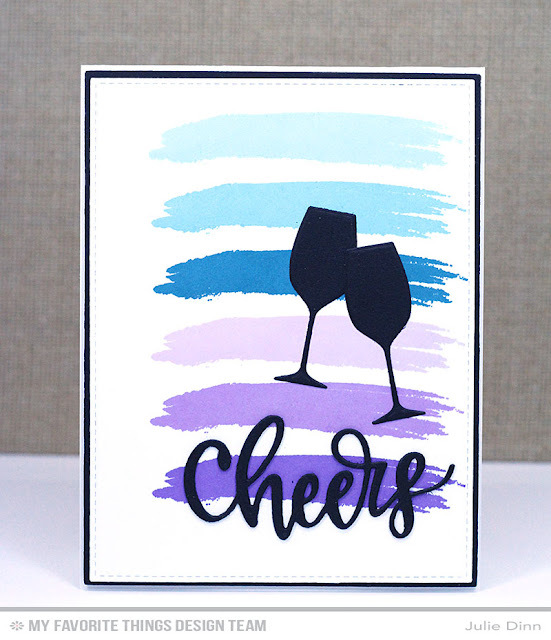 The wine glasses and sentiment were both die-cut in Black Licorice card stock.